Mangaluru, Oct 29, 2016: SpiceJet announced launch of its daily direct flight on Mangaluru-Dubai route. The airline will operate new flights from October 30. To celebrate the launch of new sector, airline is offering tickets at all-inclusive introductory fare of Rs 6013. Airline will operate a daily direct flight SG59 on Mangaluru-Dubai route departing at 12.20am. Flight SG 60 will depart Mangaluru for Dubai at 12.55pm on Tuesday, Wednesday, Thursday, Friday and Sunday. Flight SG60 will operate at 3.40am on Monday and Saturday respectively and the airline will deploy its Boeing 737 fleet for the newly devised schedule. Dubai is one of SpiceJet’s six international destinations .With this launch, SpiceJet now serves non-stop flights to Dubai from 10 Indian cities including Ahmedabad, Amritsar, Jaipur, Kochi, Pune and Mangaluru. The airline also has connections to Dubai from Tier 2 and Tier 3 cities, besides Bengaluru, Chennai and Kolkata. 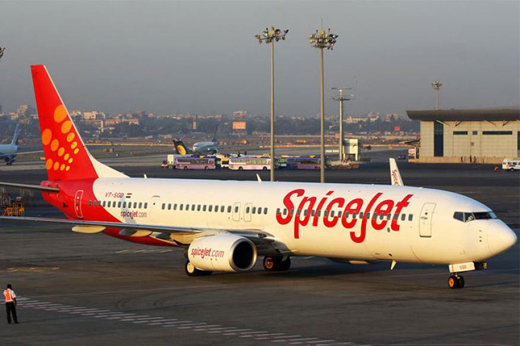 Shilpa Bhatia, senior VP (Commercial), SpiceJet, said, "Being the port hub of Karnataka, Mangaluru offers immense potential for business travel. Dubai being key hub for Middle-East markets, a direct flight in place on the route will further boost economic activities besides offering a convenient travel option for both business and leisure travellers."